This beautiful horse farm play set from Haba is great for both my girls, aged 3 and 1. The sturdy box unfolds to reveal the horse stables and farm. The lovely chunky wooden pieces are stored inside and can then be placed onto the farm. The wooden pieces are beautifully coloured in with some wonderful characters. The horse farm play set can be used in a variety of ways. My eldest loves to play role play with them and her imagination really runs wild. My youngest loves to look at the different pieces and we talk about the different animals and shapes. We look at the colours and make horse and clip clop noises. She also loves to post the pieces back into the top of the box, a little like a shape sorter. Its great how the horse farm play set can be used by both girls in such different ways. 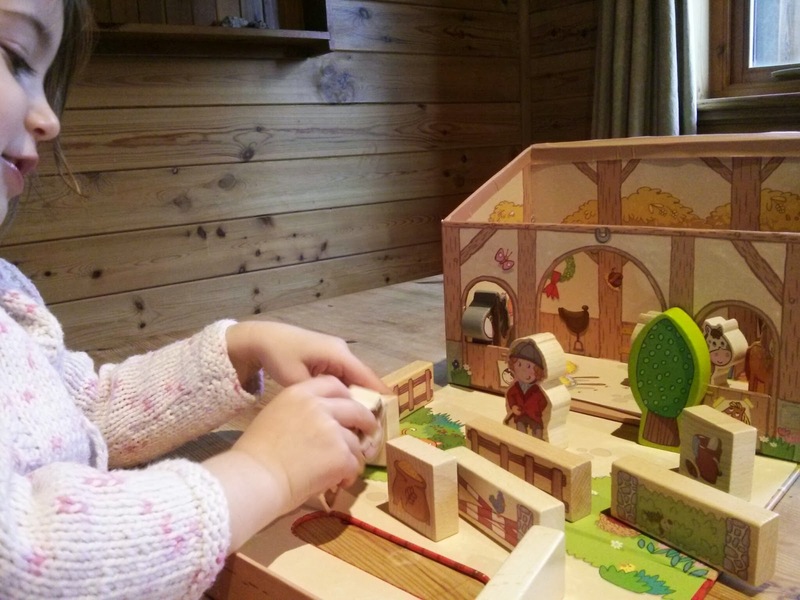 The Haba Horse Farm play set has become a firm favourite with both girls and they really love playing with it. I love how everything can be stored together and the only set up required is to unfold the lid of the box! The Haba Horse farm play set is available on the Toadstool. 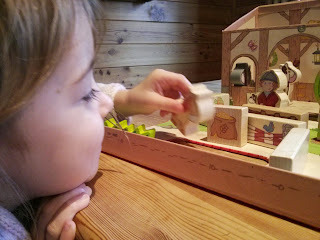 I was sent the Haba Horse Farm play set to review from the toadstool as part of the toad tester program. All opinions are my own.